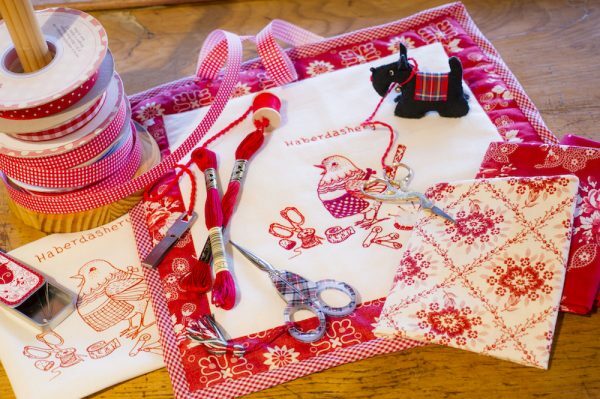 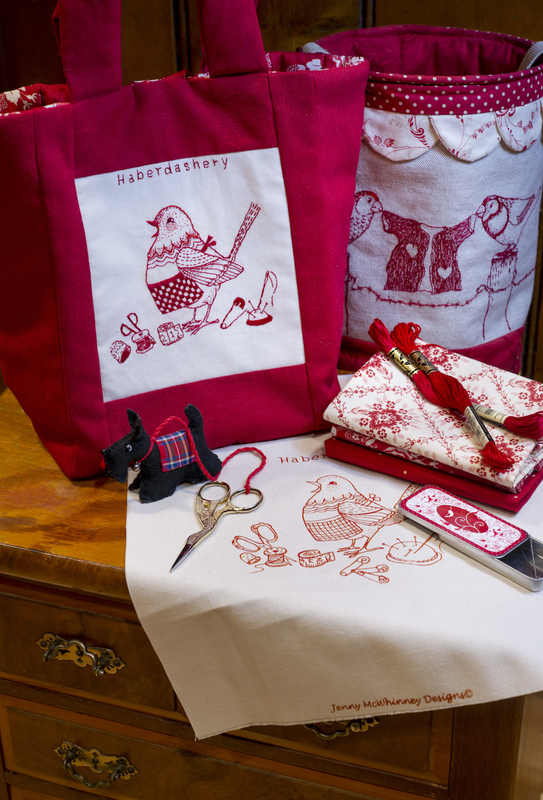 Ruby, the haberdashery bird is in her element surrounded by colourful needlework accessories. 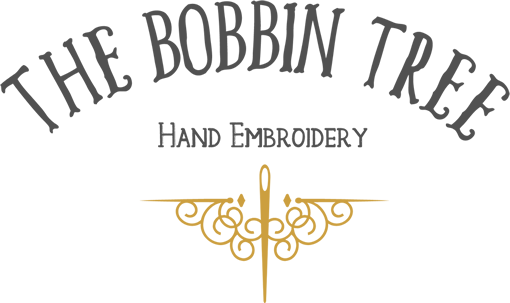 The design is pre printed on to the fabric so you can start stitching straight away. 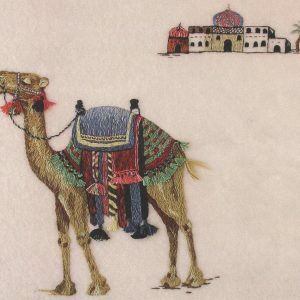 The design measures 15cm (6”) Square and is printed on fabric measuring 32 x 26cm (12” x 10”). The kit includes the pre printed fabric, stabilizer, 2 Skeins of red Stranded cotton and matching red perle thread, needles & instructions. 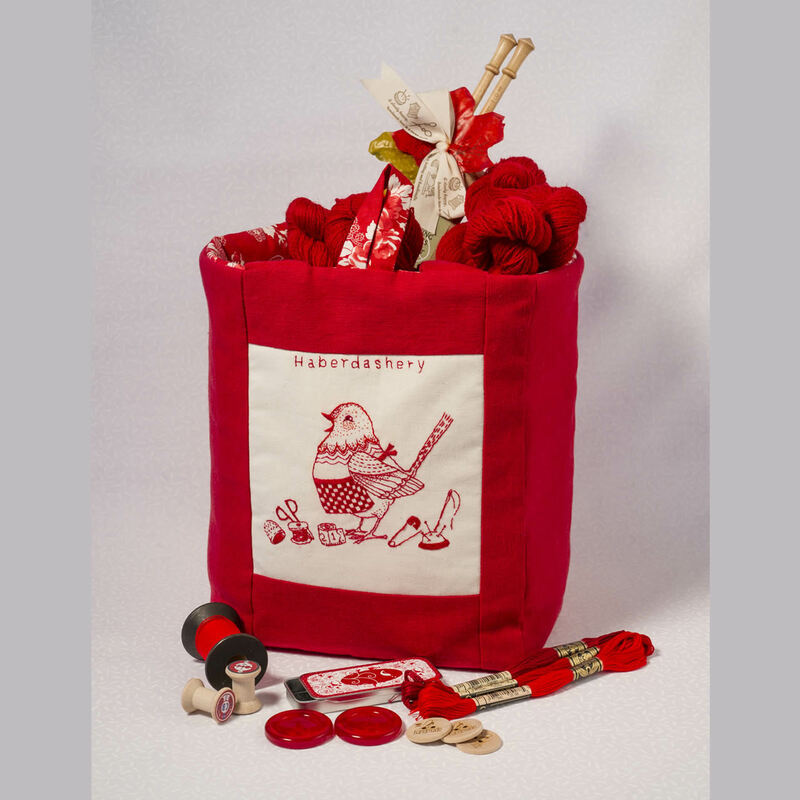 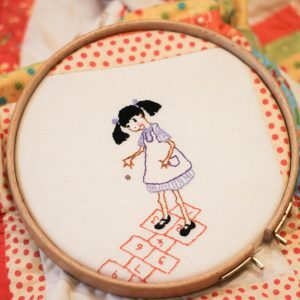 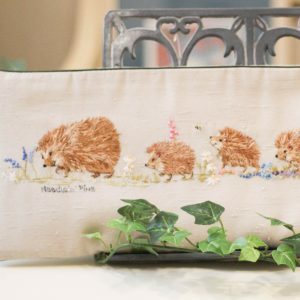 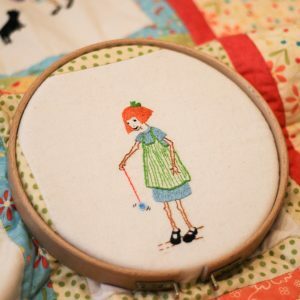 The design can be made into a number of items such as a bag, pouch, pin cushion or as a panel inserted into a quilt. 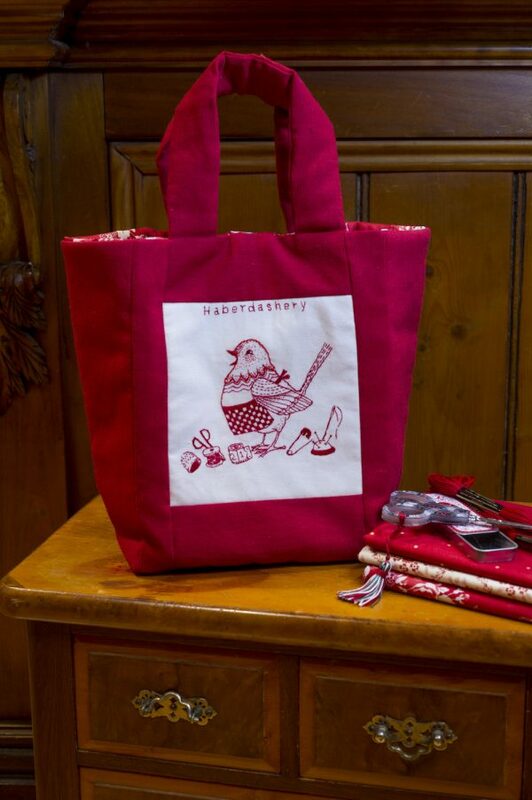 The design has been stitched using red colour tones however you may decide to use a different colour choice.